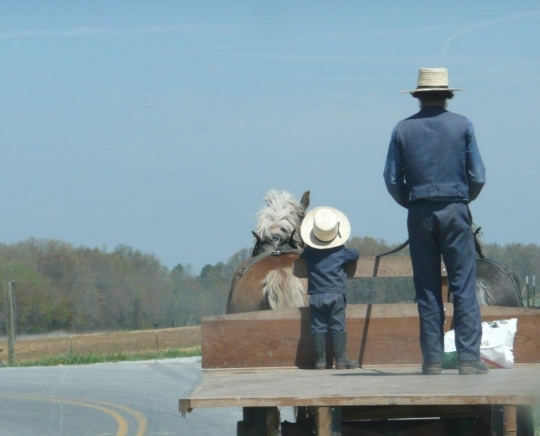 Did you know that the South has more states with an Amish population than any other region? First, there’s the question of what defines a region. The South of 2018 is a vast, diverse place. But I think it’s safe to say some states seem more traditionally “southern” than others. 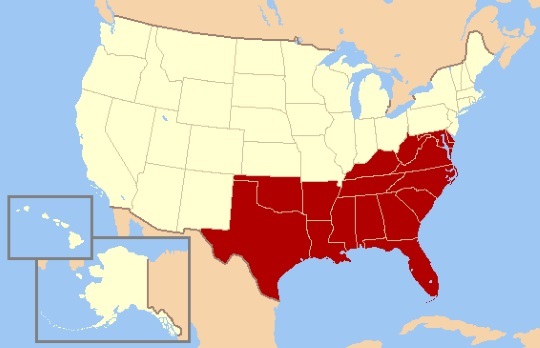 For instance, is South Carolina more southern than say Maryland? Other states sort of fit the concept of South, and sort of don’t. Isn’t Texas just Texas, its own place? What about Florida? Going by this map there are a whopping 12 states in the South with an Amish presence as of 2018. That would be out of 31 total states with Amish. We tend to think of the Amish being more common to the Midwest and to Pennsylvania. And by total population, they are. Of course, the South has more states overall than any other region. Notably, nearly every state in the Midwest has an Amish presence (North Dakota the lone exception). Below you’ll find a list of states in the South with an Amish population as of 2018. Numbers here are based on the latest report on the Young Center’s Amish Studies website. 1. Kentucky (43 settlements; 12,630 Amish) – The only Southern state in the top 10 overall in terms of population. It has seen a lot of new communities pop up in the past decade, with about a dozen new settlements. 2. Tennessee (12 settlements; 3,220 Amish) – The main community here is the very plain Swartzentruber settlement at Ethridge. 3. Delaware (1 settlement; 1,650 Amish) – Delaware ranks high on this list, despite there being just one community in the First State. The settlement at Dover has been around over 100 years. 4. Maryland (3 settlements; 1,575 Amish) – Amish from Lancaster County settled St. Mary’s County in 1940. Today you’ll still see the characteristic Lancaster grey buggies, as this community has grown to nine churches. Amish also live in the atypical community at Oakland. 5. Virginia (7 settlements; 1,230 Amish) – Virginia lies near Amish-friendly Pennsylvania, but has a relatively low Amish population. 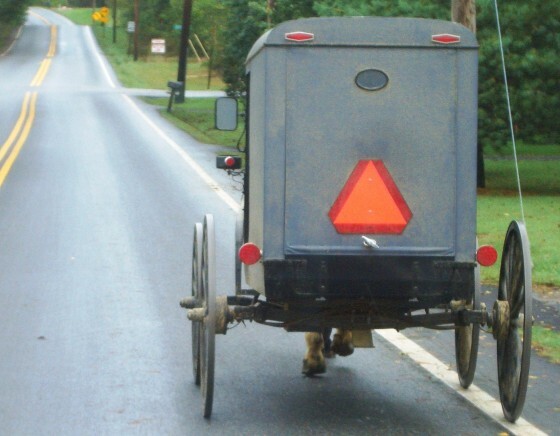 Still, VA has drawn Amish from places like Lancaster County and Dover. 6. Oklahoma (4 settlements; 645 Amish) – The Sooner State recently added two communities to join its longstanding settlements at Chouteau and Clarita. 7. 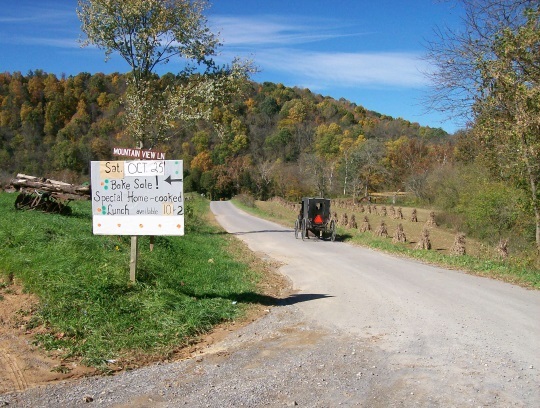 West Virginia (4 settlements; 300 Amish) – Similar to Virginia, few Amish live here despite its proximity to two Amish-heavy states (OH and PA). 8. Mississippi (1 settlement; 260 Amish) – The state’s lone community has roots in Tennessee’s Ethridge settlement. The only “Deep South” Amish location. 9. 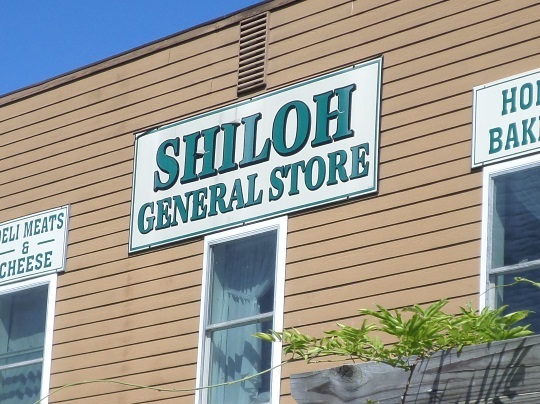 North Carolina (2 settlements; 260 Amish) – North Carolina recently added a second community to join the state’s 30-plus-year-old settlement at Union Grove. 10. Arkansas (2 settlements; 240 Amish) – Arkansas has only ever seen sporadic Amish settlement. The number of communities has actually declined from three to two since 2010. 11. Florida (1 settlement; 100 Amish) – Florida needs an (*). It gets an asterisk because Florida’s sole Amish community at Pinecraft (Sarasota area) swells to many hundreds or perhaps thousands during the colder months. Despite its attractiveness as a Plain vacation destination, its year-round population is small. 12. Texas (1 settlement; 65 Amish) – Texas’ sole Amish outpost at Beeville has been frequently-covered on this site, in proportion to its small population perhaps more than any other. It was founded nearly 20 years ago and today sits at an estimated 65 Amish. The hardscrabble terrain of Bee County simply does not draw Amish like other more agriculturally-friendly places do. Can you get us some more information on the new N.C. settlement? I’ve been to Union Grove and was hoping to go to the second one earlier this year while I was in NC but it was a distance from where I was. Isn’t it near Asheville? Anything to see there, any stores, do they sell from their homes like the Lancaster Amish do? Thanks for what you can find out and share. Hey Loretta, so what I’ve heard is that the new settlement is near Ellenboro, between Rutherfordton and Shelby. It’s apparently a Swartzentruber community – not sure how many are there, but my source shared there’s a second district (it’s possible he meant a separate community) in the works for the same area. Erik, would there be an online source for people to see a listing of the settlements in the various states? I regularly point people to the Journal of Anabaptist Studies (or something like that) listing, but it’s now 5 years old and a bit dated. Something more up to date would be great. I know I’ve asked this before, but what are the two Arkansas communities that your source has listed? Unfortunately there’s no other source online besides the JAPAS listing you mentioned. From what I’ve heard there should be a new edition out this year. According to that source the 2 Arkansas communities as of 2013 would be Salem (Fulton County) and Rector (Clay County). The latest Amish Studies figures list 2 communities for Arkansas as noted above, I am assuming it is those two, unless one went extinct since 2013 and was replaced by another in the meantime. I believe last time I checked in Raber’s Almanac, only one of those was listed, but Raber’s, while being a good resource, doesn’t have every community listed. Haha Eric! I owe you BIG for posting that US map of regions. THANKS a million. I’ve only been to a few Ohio Amish communities but one of these days I’m gonna spread my wings and go visit more. I have a tough time imagining the Amish in Oklahoma and Texas.. it’s tough making a living from the land unless you live near a river (that’s iffy these days) and it’s hot as Hades. Poor folk. Sure thing Kim, glad you liked it. In Oklahoma some Amish actually use tractors in the fields due to the soil conditions there. We heard by a local source here on the Northern Neck of Virginia that there is a group of Amish planning to move out towards Farnham, VA (Richmond County). We’ve looked around, but can’t seem to confirm this so far. Would you have any ideas whether or not there are any Amish heading out to this part of Virginia? I have not heard anything about your area Jonathan, at least not in mainstream online news sources. This news might be something that would pop up in an Amish-read publication like the Budget, maybe someone else has heard something. Apparently my state is considered a southern state. I wouldn’t have ever thought so. It seems pretty far north to me. I also found out that there is an Amish community less than half an hour away from me. Well, I guess you learn something new every day! I know that I’ve learned a lot since I started lurking here, although this is my first comment. Very nice website! I will definitely be visiting it many more times in the future. Glad you found us and happy to read your comment. Are you by chance in MD or DE? 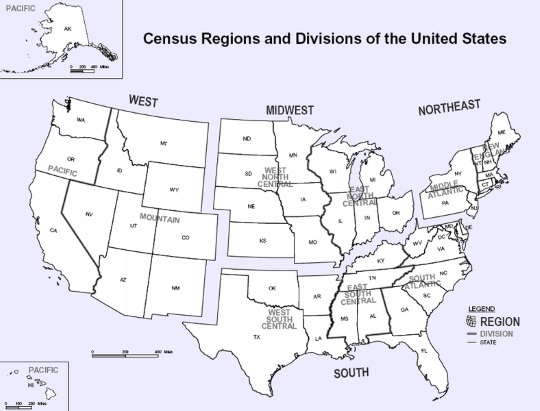 Yes the South as a region just takes in so much, at least how it’s defined according to the Census Bureau. Thanks! I’m in MD. I’ve been here many years but haven’t lived here my whole life. Hi Eric, There’s several communities in the East Tennessee area, some people call them Amish, some call them Mennonite. They each have Farmer’s Markets that are frequented by many ‘Englishers’. Those locations are Delano, Englewood, and, the newest, Tellico Plains. They are all located near Hwy. 411 that runs along the mountains. They are each off the highway a bit but signs will get you there. The road going into the Delano site travels under a railroad track and is one lane at that place. Not sure of the height or width there but might be difficult for some vehicles. We drive a Yukon and have no problems. They close the Delano market in mid November so they’ll be closing for the season. The workers there are friendly and informative but somewhat reserved with the Englishers. One of the clerks realized we were from north of the Tellico Plains area and told us about it. According to him, the group was a group of their own people that had relocated to the new area to establish a new community and market. There is another one north of I-40 near Jackson, TN. A small area called Huntingdon. They have a few auctions a year and there’s a few shops around. I’ve come to know a number of them personally and know several quilters and a few furniture makers. There’s another location near Monterey, TN (I-40) called Muddy Pond. They have a general store and a facility for making molasses. There’s an area to watch the process. I’ve not been to Ethridge or to Bull’s Gap yet. In Ohio, just around the corner from Mrs. Yoder’s Kitchen, there’s a wonderful quilt shop called Lone Star Quilts, that has an abundance of ready made quilts, runners, table toppers, purses, etc as well as sewing supplies, machines, and fabrics. Truly a wonderful place to visit.